I feel like I say this a lot but how quickly is this year going? It doesn't feel two minuets since I was writing up my June Favourites post. Primark Rucksack - I bought this months ago and put it to one side to be forgotten about till I did a bit of a clear out. I've been using it everyday in July and I'll be sad when I have to stop using it. It was about £5 in the sale. Zoella Body Scrub - I mentioned this in my post about the New Zoella Range in Superdrug and I've been using it all month and I'm really impresses with it. The smell is lovely without being over powering and it's got a good amount of grittiness without being too harsh. It cost £7 but it's a fair size tub. I have been using this every shower but I think if I hadn't just come back off holiday I use it less frequently and therefore it would last longer. 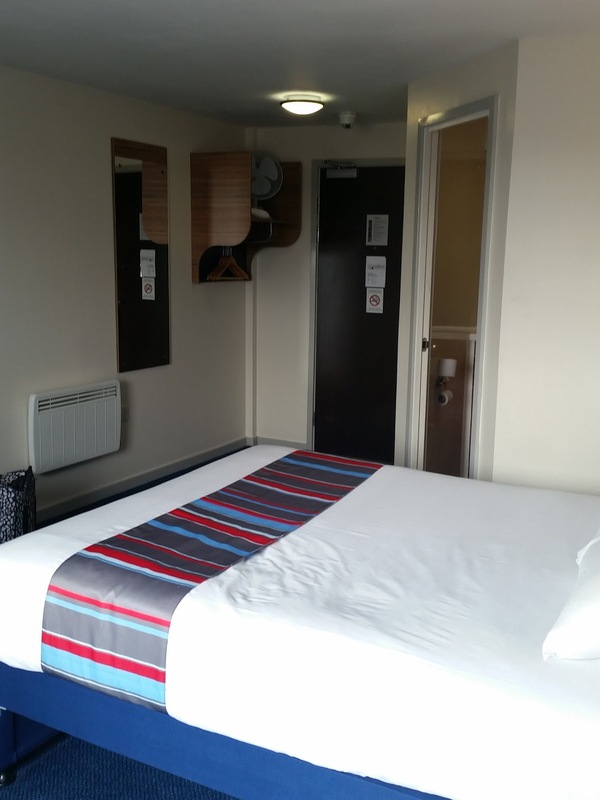 Travelodge(s) - I stayed in two travelodges in July and both were really nice, staff really friendly and both rooms were good sizes and the beds were incredibly comfy. My bed at home is awful and it was so nice to sleep in such a comfy bed. The first of the two was The Bull Ring Travelodge in Birmingham - It's very very handy for the shops. We had breakfast there both mornings and it wasn't a bad price £7.65 for all you can eat buffet style. It was all fresh and for the convenience I didn't mind paying it. 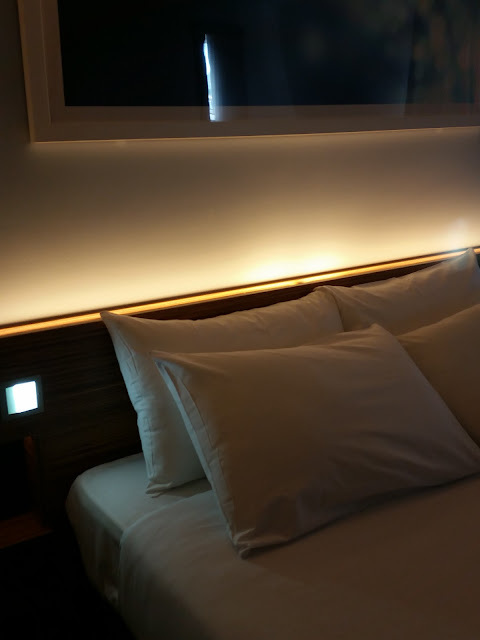 I have to say my room highlight was the light up headboard. This did get quite warm but it was a nice touch. I paid £85 for two nights and I didn't expect to be in the room much but I wish I'd had more time to stay in. It was warm weekend and I had a fan in my room, I think normally you have to ask reception for these. The widow did open slightly but I can imagine it being quite noisy as it's city centre. My second Travelodge was on Blackfriers in Manchester and it's somewhere I've stayed a few times. It's an older one but I think it's been refurbished. My room was at the back and I didn't have a very good view, I looked into some offices but I was only there for one night and again my bed was comfy and the room was a decent size. The room cost me £40 for one night which was one of the cheapest rates I could find in Manchester for the night. Whatsapp - This has been a very underused app on my phone until recently and now I love it. I need a lesson in appropriate emoticons as I never normally use them very often but they seem to be key to whatsapp. Any tops are welcome. In July I became a bit addicted to Mexican Chicken Bagels from Bagel Nash, sadly I've now moved office and we don't have one close by. 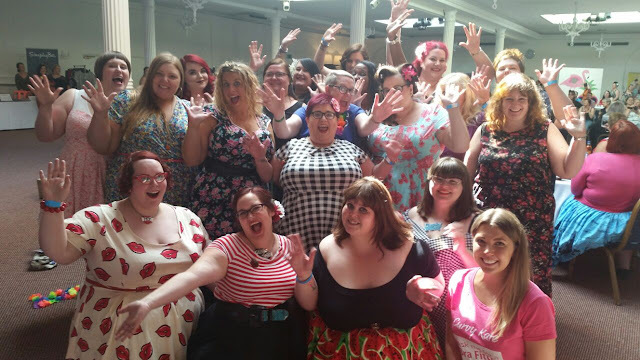 Plus Size Bloggers - I know i've mentioned Style XL a million times already but these people give me so much confidence in myself. They are supportive, fun and I feel like they are the sisters I've never had. 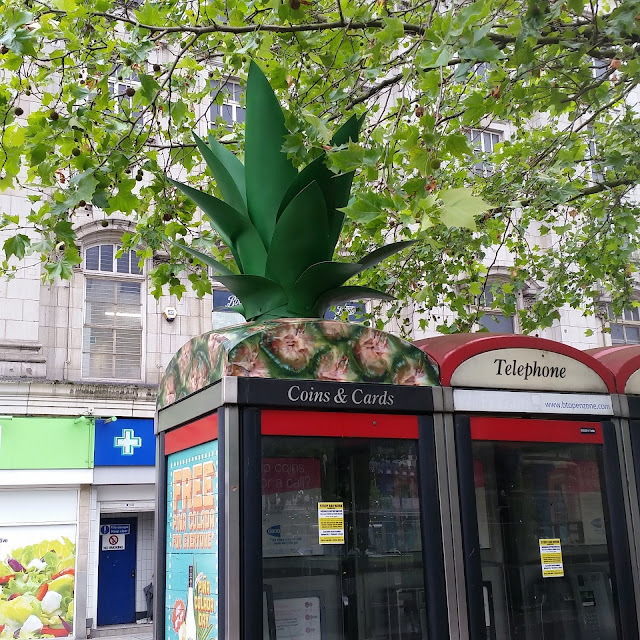 A random favourite is the pineapple tops of phone boxes that have sprung up, I think they are advertising Malibu which I don't like much but I had to go back to take a picture of this one in Piccadilly gardens in Manchester. 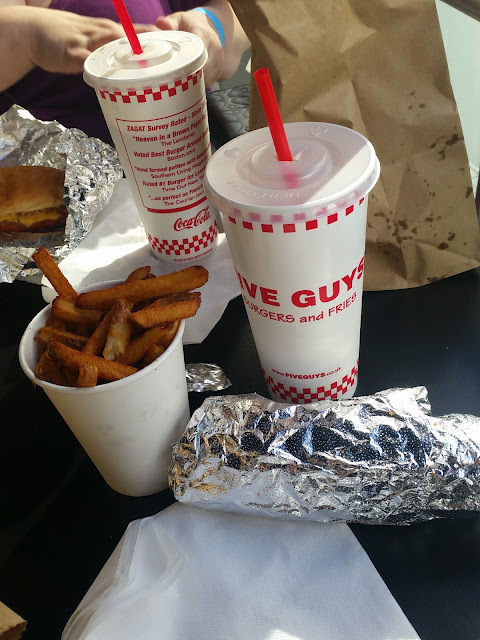 I've finally been to a Five Guy's and I loved it. I had a plain hot dog, chips and a peach sprite. The peach sprite was a bad choice but everything else was amazing. There are two not to far from me and I think I need to arrange a mates date with my friends. July has been a really good month for me and I'm sure there were a few more favourites i've not mentioned. 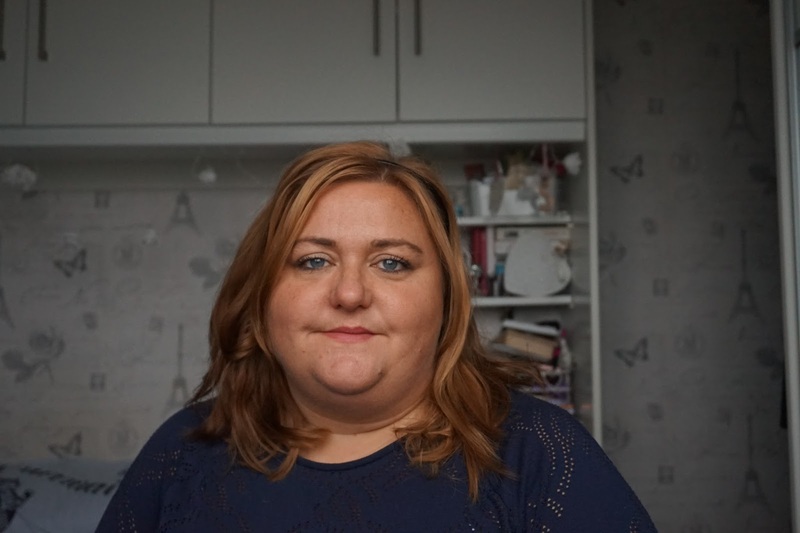 For the last week I haven't worn any make up but there were a few items I was enjoying but I think as i've not been wearing any it's slipped out of my head. Let's hope August treats us all well.